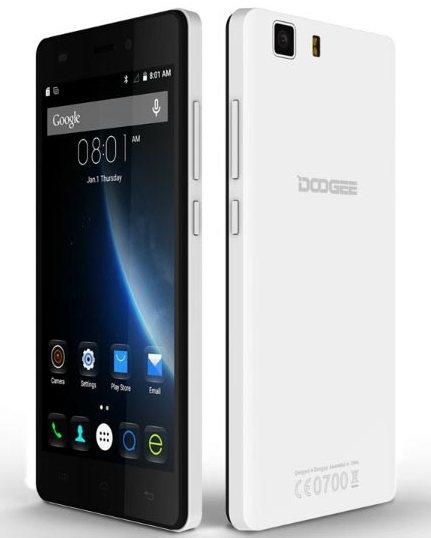 Doogee - a young Chinese manufacturer that is a subsidiary of the Chinese group KDV. Last specializes in the manufacture and maintenance of telecommunication equipment. The company has research laboratories and full-cycle plants, and the production received international quality certificates. KDV's clients are companies from Latin America and North America, Europe, Africa, Southeast Asia and United Arab Emirates. 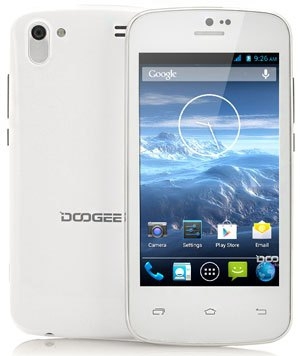 From this it follows that the "foundation" in Doogee very good. With the increasing popularity of mobile gadgets KDV decided to try to master this niche and have allocated a separate division for the production of smartphones. Since March 2013 there was a company called Doogee. 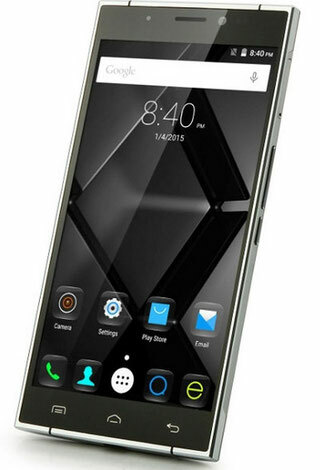 The first smartphone company DOOGEE was released in the summer of 2013 - the model for two sim-cards COLLO DG100. The device was built on the MTK6572 processor, which has two cores running at speeds up to 1,3 GHz, with a graphics chip Mali-400MP, 512Mb RAM, built - 4Gb, four-inch IPS screen with a resolution of 800x480 pixels and a battery with a claimed capacity of 2000 mAh . And all this at a price of $ 88 at a reasonably good build quality. Yes, not all parameters meet the declared were flaws in the firmware and the camera work, the design was very similar to the existing models, but for the money it was one of the best on the market. For comparison, Acer Liquid E2 Duo, having approximately the same characteristics with DOOGEE COLLO DG100, cost at the same time $ 260. Although officially it was sold only in China, thanks to online shopping, he found its fans around the world. Almost immediately after the occurrence of Doogee beginning to show an enviable "fertility". Only in 2013 was released 6 more smartphones, and the following has 20. These include a thin dude TURBO DG2014, the first 8-yadernik company DAGGER DG550, protected TITANS2 DG700. Each year improve their quality, formed a distinctive design, experiments were conducted with the materials of the shell, grew optimization software and hardware. 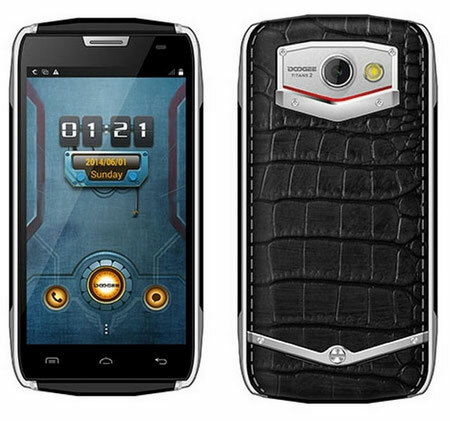 In 2014 Doogee decided to conquer the European market. Beginning with Spain, opened a representative office and an online store. Also became one of the sponsors and the official smartphone is not the last of the football team of the Spanish Premier League Villarreal. According to the president Doogee Xin Chao, such cooperation will contribute to the popularity of the company's devices and open up the market in Spain. In the same year it began the process of entering the market of Africa. A landmark turned out to Doogee 2015 th. The release of a truly popular models, one of which Doogee X5 (recently release Doogee X6 - look review!) - charged state employees with a very attractive price. Well, where you will still find a smartphone with a 5-inch IPS HD screen, quad-core MT6580, 1GB of RAM, 8GB of internal memory and two SIM-cards for just 55 bucks! An interesting model 2015 Doogee I would have called the X5 pro, X5 MAX (review), X6, X6 pro, F5, F3 pro, VALENCIA2 Y100 Pro, Doogee T3 (we have review) , Doogee T6 (look review). The first stereo headset company named Vienna was also presented. In 2015 the company acquired a sub-brand Homtom. This line of low-end phones with great autonomy. 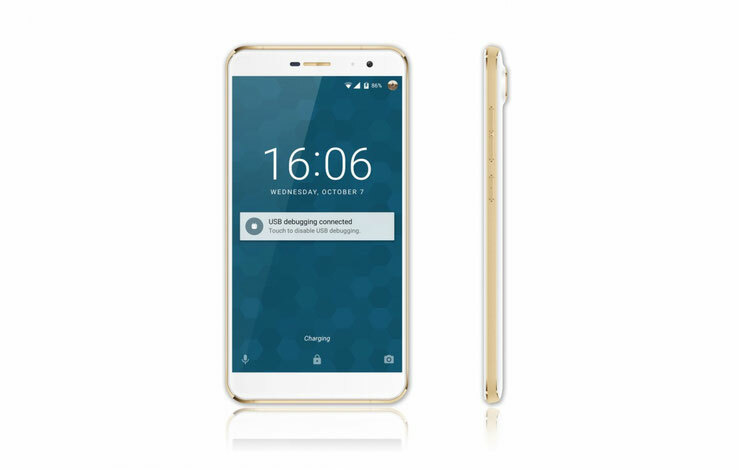 For example, the model HOMTOM HT6 has a battery capacity of 6250 mAh. Even last year, I remembered the appearance Doogee at the International Congress of mobile technologies MWC in Barcelona. 2016 began to Doogee promising. Was presented the flagship model F7 with a 5.7-inch 2K display, 10-core Mediatek Helio X20, camera 21 megapixel Sony IMX230 and a fingerprint sensor. And all this, as promised Wender, will cost $ 169.99. Very tasty offer, is not it? Also we started selling the first smart watch companies - S1. Also we recommend to review Doogee Y300. To date, the brand Doogee hard to compete with well-known Xiaomi and Meizu. And it is not the ideal device. But progress is noticeable. Growing and improving the quality of design, are taken advantage of new technology, expanding market. And it can be argued that the future of Doogee there is a high probability.